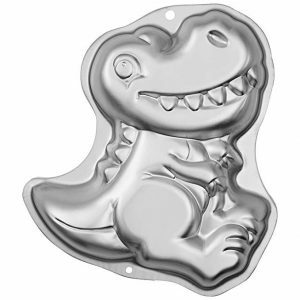 On Amazon right now you can get this fun Wilton Dinosaur Cake Pan, Kids 3D Birthday Cake Pan for just $9.18 when you clip the $0.32 off coupon. This is a 32% savings! This will ship free with Amazon Prime or qualifies for free Super Saver Shipping with a $25 purchase.